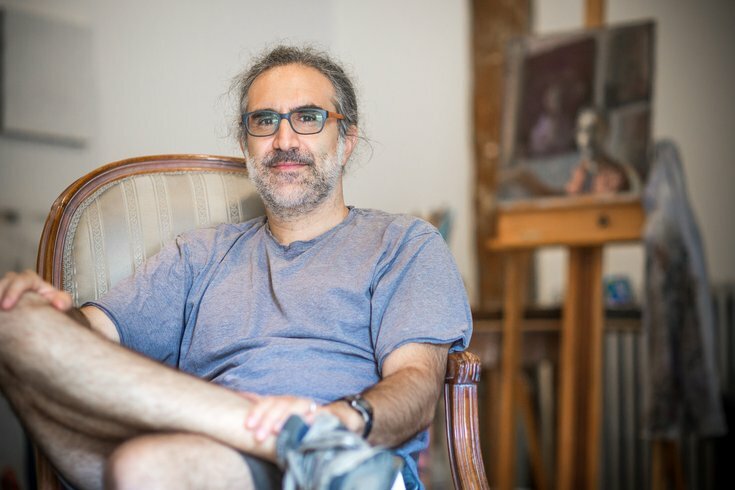 Dr. Afif Hanna, a pediatric emergency room physician at Holy Redeemer Hospital in Meadowbrook and recent Pennsylvania Academy of the Fine Arts graduate, poses in his Point Breeze painting studio. Afif Hanna, a pediatric emergency room physician at Holy Redeemer Hospital in Meadowbrook, Montgomery County, has been drawn to art ever since he was a kid growing up in West Virginia. But recently he took concrete steps toward a career as an artist. 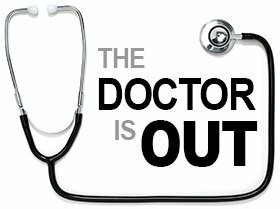 Beginning this week, a new PhillyVoice feature called "The Doctor is Out" will highlight what doctors, nurses and other medical professionals do on their own time, away from the hospital or office. Cool hobbies. Amazing feats. Inspiring charity or volunteer work. While he often had a sketch pad in hand and took private lessons as a child, Hanna describes his younger self as “having no clear sense of direction” and ended up eventually pursuing a career path in medicine. “My parents were very supportive of any career path I chose,” he said of his mother and father who came to the United States from Lebanon via Paris, where Hanna was born. “But I accidentally fell in love with the biological sciences and the scientific mode of inquiry." Hanna, who lives in the Grays Ferry section of Southwest Philadelphia, completed a master’s degree at Marshall University in West Virginia focusing on mosquito larvae ecology before attending medical school at the University of Louisville. But Hanna, 40, never forgot his love of art. During his graduate studies, he took his first oil painting class with a professor who encouraged him to continue painting whenever he had time. In medical school he continued to hold onto a brochure for the Pennsylvania Academy of Fine Arts in Philadelphia, because he knew deep down he would get there – eventually. These two paintings were done by Dr. Afif Hanna while he was studying for his art degree at the Pennsylvania Academy of the Fine Arts. He graduated in May, but will continue to work at the hospital three days a week. He credits his wife, also a doctor, with making his dream of an art career possible. 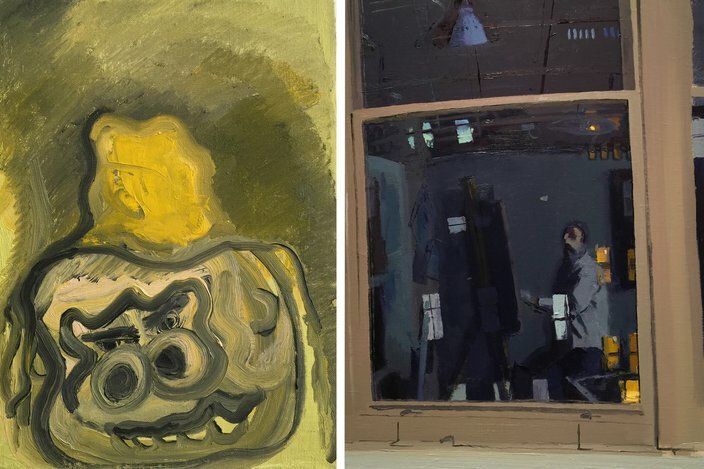 Only after completing his residency at the Children’s Hospital at Dartmouth-Hitchcock in New Hampshire and moving to Philadelphia was he able to finally realize his dream: in May he graduated from PAFA with a degree in oil painting. While enrolled in the Academy, Hanna worked in the ER one to two days a week and took classes the rest of the time. A husband and father as well as a doctor and artist, Hanna credits his wife – she is also a physician – for helping him balance it all. Now, he will spend a good part of his time creating art in the Point Breeze studio he is renting. There, he will focus on oil painting, perhaps finding inspiration in some of his favorite contemporary artists, including Josephine Halvorson and Stephanie Pierce. "At this point in time, I enjoy working in the medical field and will do it three days a week which will give me time, not to mention resources, to work on my art," he said. "To do art full-time in the future is very appealing, however." A big part of his attraction to art is its reliance on a part of the brain different from practicing medicine, he said. “Lately I’ve been interested in exploring myself and what I know of my surrounding visual world without directly referring to visual cues presented to me from observation alone," he explained. "I’m relying more on memory and chance at this point and this involves painting with no preconceived notion of what the image is or may become. For now, I’m allowing the process of painting to take over and when something interesting seems to emerge, I try to clarify it for myself." In his studio, Hanna prepares a linen surface in the traditional way, using rabbit skin glue to protect and stretch the material and give it a nice bounce. He then applies an oil ground and sets it aside for about a week to let it dry. He said he uses this process – it's been done this way for hundreds of years – even though there are materials with better archival properties. "I love how those traditional materials feel and look when making an oil painting," he said. When he starts putting paint to canvas, his recent process has been experimental, though it probably will change over time. He might begin with a couple of different yellows, assessing the relationships to each color and making undetermined shapes with them. He plays with the thickness and thinness of the paint, he said, and may add a black. "Then something emerges like a weird gorilla head wearing a hat that looks like butter and I find it attractive and funny, so I go with it," he explained. "I clarify it a little more for myself and if it's still appealing to me, I stop the painting. Then if it's still appealing later in the week, and hopefully you get some input from your peers, it's a finished painting.